Base fabric much more important to puncture and tear resistance than thickness. FiberTite's proprietary knit design incorporates more fiber for unmatched strength and reliability. Learn more about the process of making a high performance membrane. 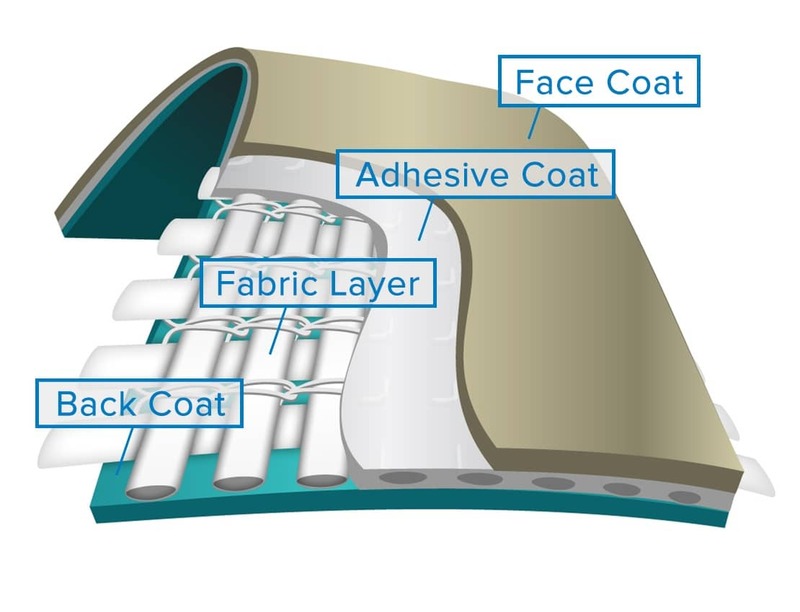 FiberTite's specialized adhesive coating process saturates the individual fibers of the base fabric, creating a molecular bond between the back and face coats of the membrane. This prevents delamination caused by harsh environments. It also keeps moisture from penetrating the cut edges of the membrane and causing seams to fail. Many manufacturers use a cheap back coat formula that adds thickness and cuts production costs but doesn't protect well. FiberTite uses the same DuPont Elvaloy KEE based formula in equal weights on the back and face coats for exceptionally secure and lasting welds. DuPont™ Elvaloy® is the polymeric backbone of FiberTite's face coat technology. A 30-year proven formula, this layer provides superior UV and chemical resistance, inhibits crazing and cracking, and allows the membrane to remain flexible over the long haul in any rooftop environment. Long-term flexibility makes FiberTite both incredibly long lasting and easier to weld for future rooftop modifications.